Civilisation in Europe has been around for many years and the continent has the buildings to prove it. The cities are old, REALLY old. Some of the buildings date back around 2000 years, especially in places like Rome. Take note of the buildings around you, visit the museums and take loads of pictures! These cities are living, breathing reminders of the past. They are filled with stories just waiting to be heard. Europe culture has so much to offer. You can walk up the Acropolis and think as Socrates once did. Or, you could get lost along the cobblestone walkways of Prague’s Old Town. Why not hike among the UNESCO-accredited Italian fishing villages of Cinque Terre in Italy? Wherever you choose to go, you’ll enjoy a historical experience like no other. Construction on Duomo di Milano (Milan Cathedral) started in 1386! One of the many historic and architectural sights in Europe. 2. It’s so darn tasty! What could be more fun in Europe than eating as the Europeans do? 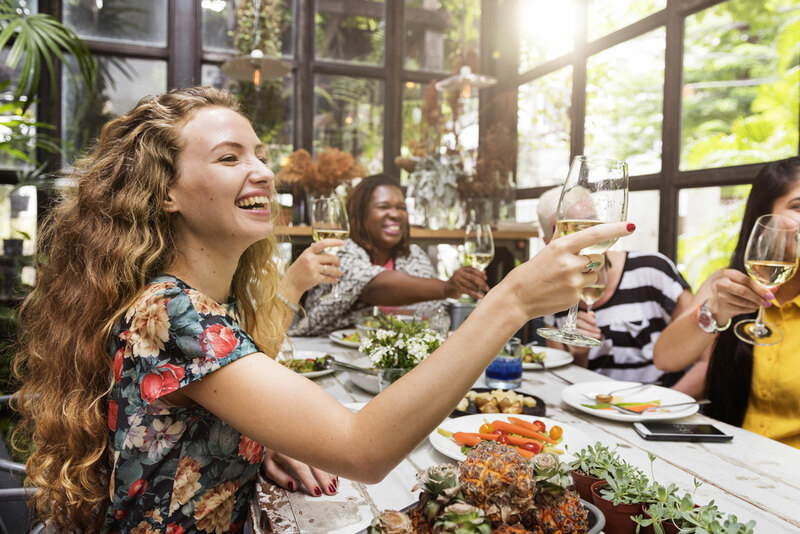 Belgian beer, French cheese, Italian pizza, German bratwurst or ice wine… Some culinary experiences are best enjoyed in their countries of origin. We’ve found some of the best cafes, restaurants and street vendors in every city we visit and made a point to include them in our packages. You will go home thoroughly versed in European cuisine! A big part of travel is the cuisine you get to taste. One of the highlights of any trip is the food! The Europe attractions do not hold back! From the snow-capped mountains of the Swiss Alps, to the golden charm of the Italian coastline. Europe is filled with jaw-dropping views. Even the urban scenery has its own unique charm! 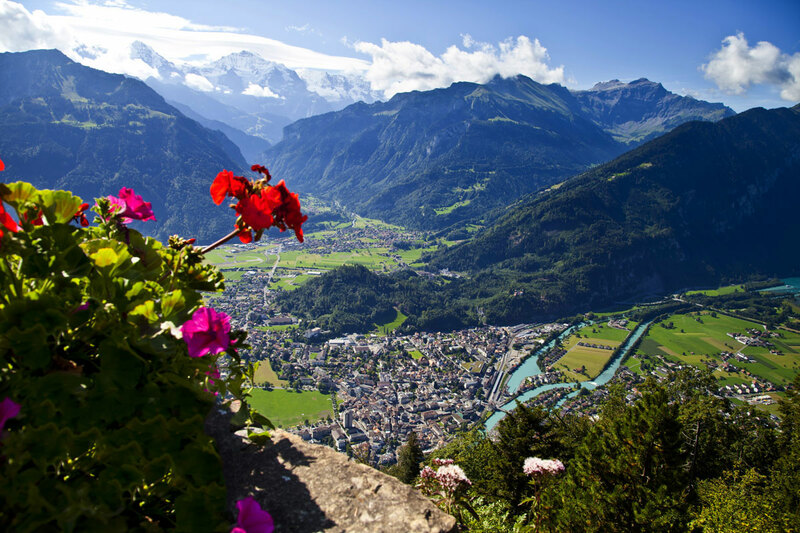 No matter where your European travels take you, you are bound to stand in awe at the beauty that surrounds you. Europe has some of the finest theatres on the planet. Not to mention art museums! Did you know that Italy has more masterpieces per square metre, than any other country in the world? Or that the Musée du Louvre contains more than 380,000 objects and displays 35,000 works of art? That’s a lot of culture waiting to be explored! 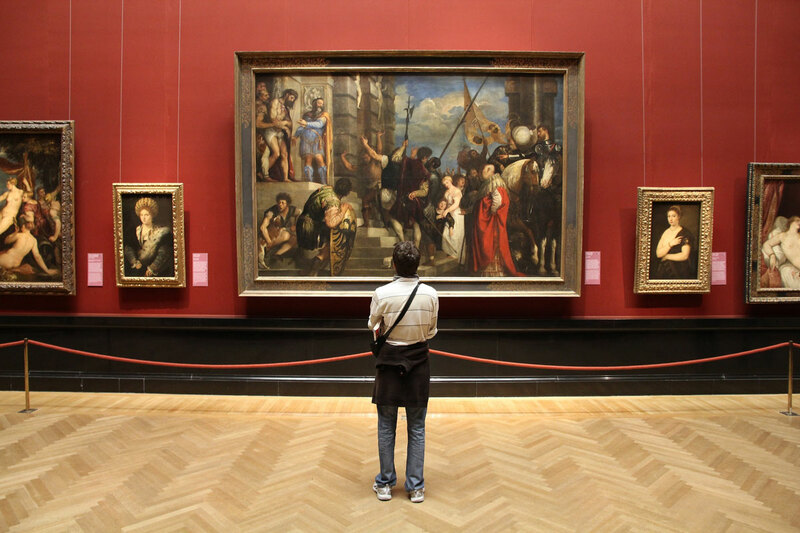 Museum of Art History in Vienna is one of the many museums in Europe to visit. With 559k visitors in 2010, the museum is among 100 most visited museums worldwide. European countries have had time to perfect urban planning and get public transport under control. This makes getting around so easy! Travellers can enjoy a variety of sights in a relatively short space of time. A single day could include: artworks, shopping, famous landmarks, delicious foods, medieval architecture and relaxing. Also, the open borders of the Schengen Area make it possible to travel throughout much of Europe with a single passport stamp on entry and exit. This includes many countries within the European Union as well as cooperating countries like Switzerland. 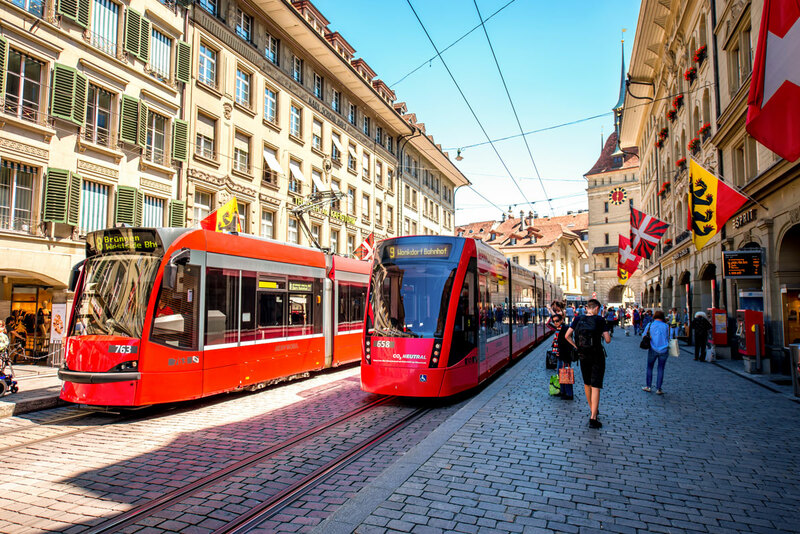 The red tram in Bern, the capital of Switzerland ready to take you to any Swiss town in the region. Europe is home to some of the world’s fashion capitals. This makes high street shopping even more exciting than usual. Travelling on a basic budget? You are sure to find some well-priced keepsakes at markets and small, local vendors. Visiting during winter? You are in for a treat! Europe has some of the most magical Christmas markets you’ll ever encounter. Outdoor street food festival in Ljubljana, Slovenia. 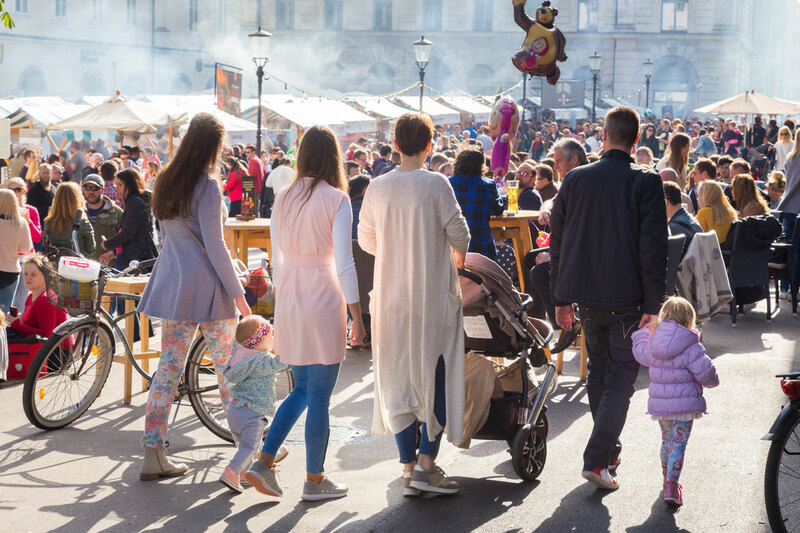 Street food, Slovenian culture and perfect shopping opportunity. Europe is known for its one-of-a-kind festival calendar. From the historically important (e.g. the Semana Santa holy week in Seville or Carnivale Venezia) and cutting-edge (e.g. Sonar in Barcelona). To the ridiculous (e.g. the annual Cheese Rolling competition in Gloucestershire). You can enjoy the company of like-minded locals and visitors at festive events throughout the year. 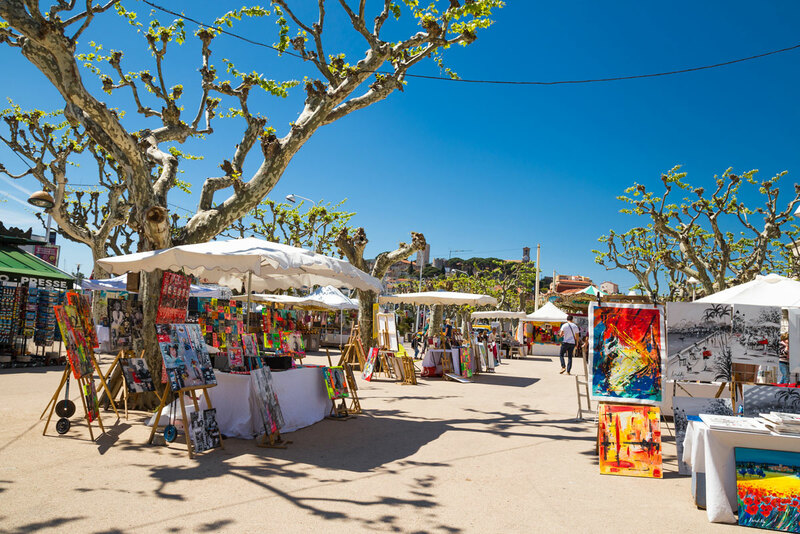 Music, film, comedy, food & wine, beer, fashion… You name it, Europe has a festival that celebrates it! Locals performing traditional Polish folk dances in Lowicz, Poland. 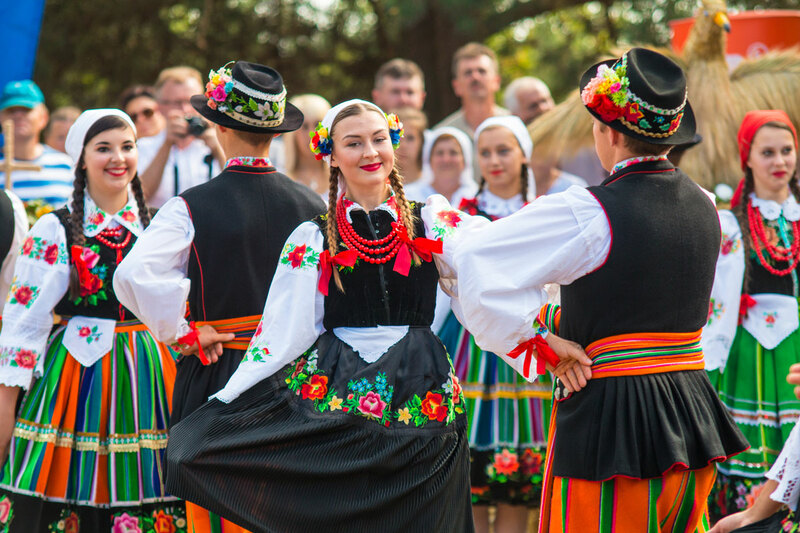 The Polish national dances are the Krakowiak, Kujawiak, Mazurek, Oberek, and Polonaise. For most Europeans, hospitality is a way of life. No matter where you travel, you are sure to be welcomed with open arms. The locals will always be pointed in the direction of the best attractions. Top tip! Get to know the city by grabbing a beer or a coffee at the ‘local’. This tends to be that little hole in the wall off the beaten track, where the locals gather. Looking for a selfless reason to hit the road? On average, 1.1 % of people employed in the EU work in the tourist accommodation sector. That’s more than 7.4 million jobs! So you contribute to the economy by buying a trinket, eating a meal, sleeping over or taking a bus in a European country. Go you! At Expat Explore, we want to give you the best European travelling experience possible. We’ve travelled far and wide to pinpoint great accommodation venues. We’ve planned swift routes, exceptional attractions and some of the best activity providers. We have great European coach tour packages! They allow you to enjoy the best the continent has to offer. Get in touch to learn more about all of our exciting tour options. And get ready to give in to that itching wanderlust!